For the last few years, wind power has gathered much more attention than, solar technology regarding its contribution to the world’s energy supply. The industry is going to get a boost with Dong Energy, a Danish firm, planning to build the largest wind farm yet, located off the north-east coast of the UK in the North Sea. Expected to start working in 2020, the project will eventually provide enough power for a million homes, its turbines will be 190 meters tall (623 feet) – higher than the iconic Gherkin building in the centre of London. 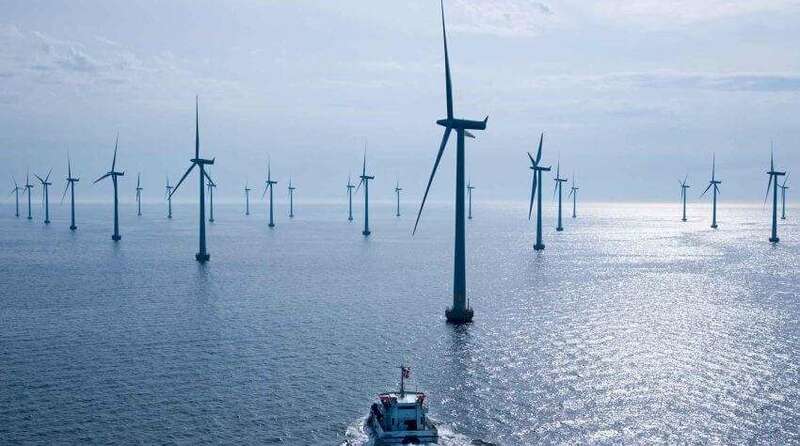 Planned to be located some 75 miles (121 km) off the coast of Yorkshire, it will be the first offshore wind farm to exceed 1 gigawatts in capacity and will be capable of producing 1.2 GW of power at its upper limit. In comparison with any other country, The UK has more offshore wind installations, according to the reports. Though, the installation and maintenance costs are higher, the government is said to prefer offshore farms to those constructed on land due to the difficulties in finding suitable sites and getting planning permission. Because of the newness of the technology and the high costs involved, government support is a crucial part of encouraging private companies to invest in wind power. Just a little while back, the UK authorities have recently cut subsidies for onshore wind, solar and biomass energy initiatives, citing the need to reduce costs and reduce the burden on the taxpayer – but such moves make firms wary about investing significant amounts of money in these technologies. A huge manpower will be needed for the project, thousands of jobs will be created including, around 2,000 jobs will be created during the construction of the new wind farm, with 300 permanent employees will be needed to operate the offshore plant, and some of the 7 MW turbines will be built at a Siemens factory in the nearby city of Hull. Nearly, 965 km (600 miles) of cables will be responsible for harvesting the energy and getting it back to land, sufficient to stretch from one end of the UK to the other. Presently, the largest wind farm in operation is the 630 MW London Array, although it’s set to be overtaken by other installations before the new Dong Energy initiative, dubbed Hornsea Project One, is completed.